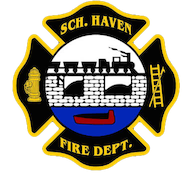 April 22, 2009- At 10:34 the SHFD was dispatched to 258 West Adamsdale Road, North Manheim Twp, for an unknown type fire. Chief 720 was quickly to respond and was advised by county of a shed fire endangering another structure. However, as units arrived on scene they found what was left of a shed smolering and just about out. Chief 720 held Engine 737 and Engine 732 and cancelled off all additional units prior to responding. Time out was 40 minutes.